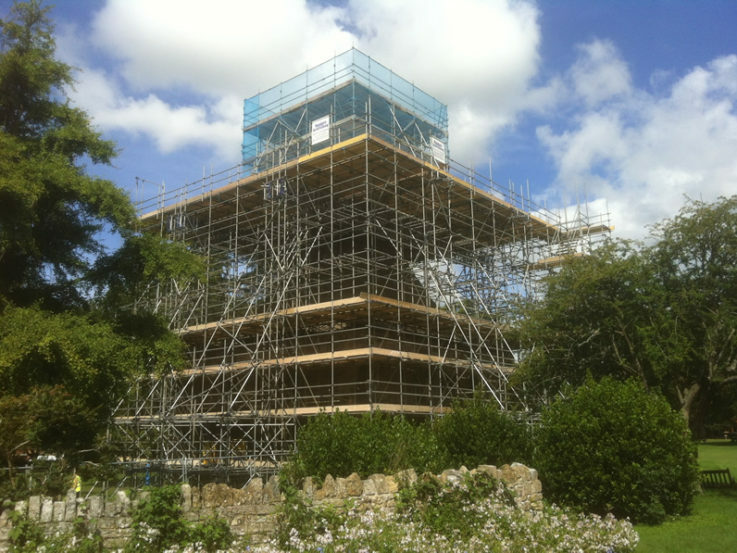 Montana Scaffolding Ltd are one of the leading scaffold and access specialists in the South West of England. We offer a professional service with a fast and secure system of work. Our CITB Registered & Highly trained scaffolders are specialist’s in internal and external scaffolds, access towers, guard rails, supporting and temporary roof covers. We offer a free no obligation quotation service so you can save time and money when choosing your scaffolding contractor. Montana Scaffolding prides itself on being forward thinking and pro-active in its approach to the Health and Safety of our employees, your employees, trades and all that are affected by our activities. We produce a full health and safety package prior to commencement of works on site, allowing the Principal Contractor, Client and Designers to meet their full obligations under the CDM Regulations. Each Work Team is briefed on the tasks to be undertaken prior to attendence at site. Our Team are all CISRS card certified from Trainee to Advanced Scaffolder and our Site Supervision have all gained the SSSTS certification. 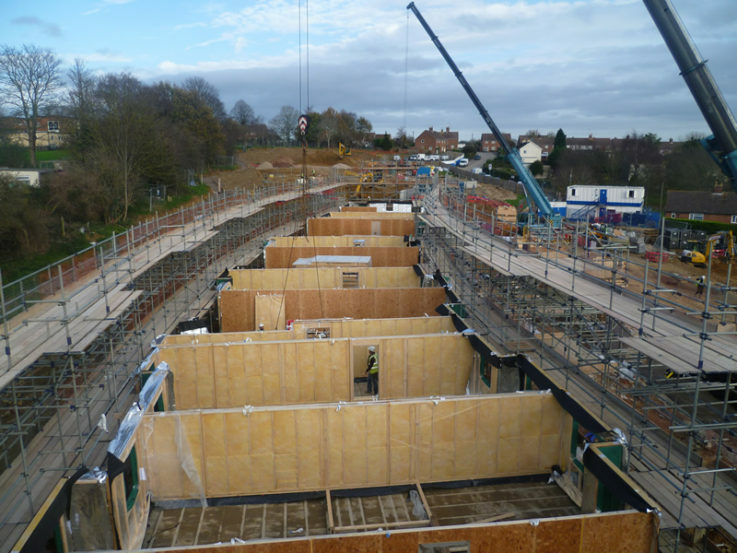 In compliance with the NASC Guidance SG4:15 Prevention of Falls in Scaffolding, we use the BSafe system of collective fall prevention to ensure we comply fully with the Falls from Height Regulations. This in our view is the simplest and most effective system in terms of performance and cost. We are open to new ideas and work with our Clients to ensure that their site rules are complied with. We are SSIP certified under the NHBC Safemark, and SMAS Worksafe organisations. Montana welcome the chance to complete your prequalification process in order to assure you of our commitment. 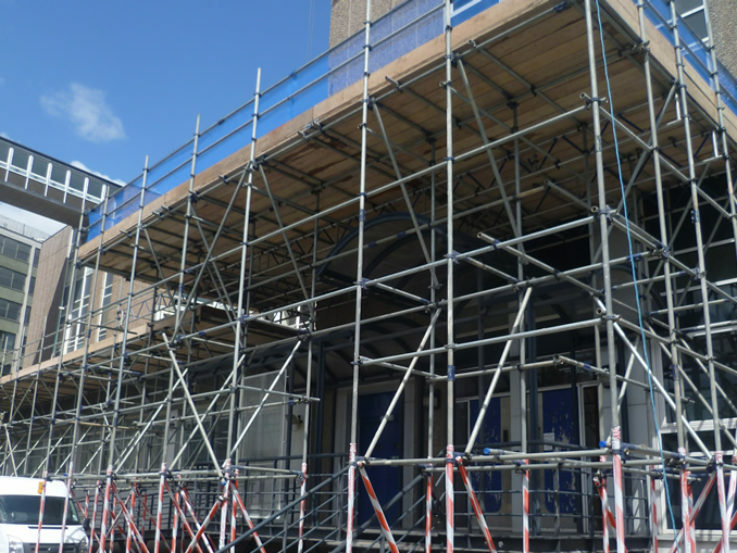 By exceeding your expectations, We’re able to provide your quotation promptly and demonstrate excellence throughout your contract, supplying you with a great value scaffolding solution. Contact us today by calling 01278 723311. 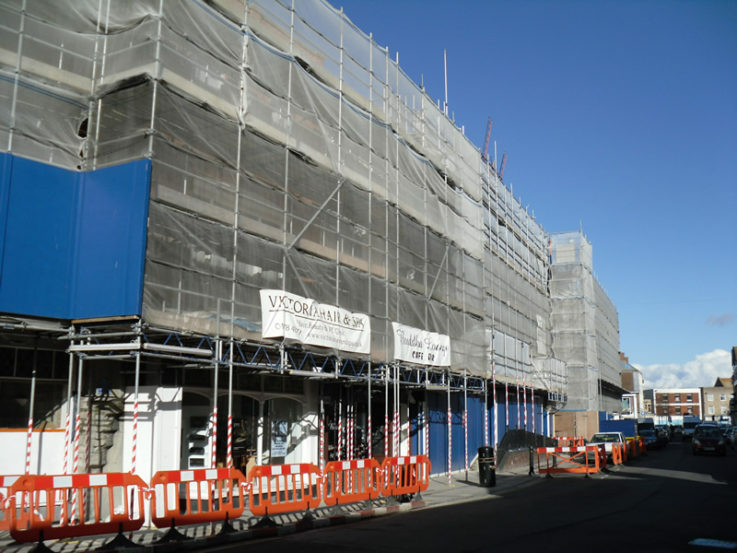 We have provided for a broad range of businesses requiring a wide range of scaffolding from access to protection solutions. Our in house team can design, develop and build the solution exceeding safety standards and expectations. Scaffmark is a handheld marking machine that imprints company identification into your scaffolding materials. Scaffmark is used to provide security to ready-lock transoms, aluminium beams, stair treads, loading bay gate arms, hop up brackets and rubbish chute fixing frames. Working Closely with the loading bay gate Manufacturer we have innovatively designed a loading bay gate system that offers complete protection, the arms are versatile and able to install tube for a triple guardrails and install gates or tube to the front of the loading bay, these gates can effortlessly be opened providing a quality and safe solution. Montana Scaffolding Limited provides innovative, cost effective and bespoke solutions to your requirements. We use innovative solutions to exceed safety standards while keeping cost efficiency throughout our projects.